Avast Antivirus prepares to match the modern enhancements with other popular antivirus program. Avast Antivirus comes in version 6.0 with many advanced features, free security suite. This PC Antivirus had made vast improvements from its earlier version 5.0 to updated 6.0. If you are familiar with its earlier version 5.0, then this new version won't worry you a lot. Previously some advanced features were available only for upgraded users, but now free users also get all features. 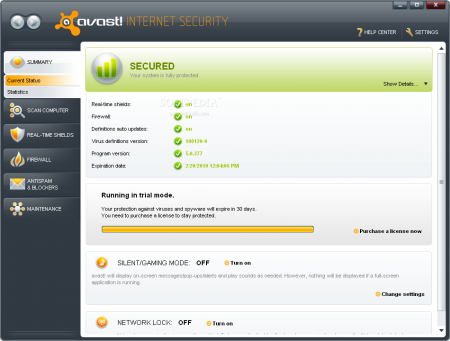 Avast's 6.0 Installation is very simple, faster and painless compared to its competitors like AVG, Norton etc. Some optional items come up during the installation, you can uncheck if want. It doesn't require a reboot nor leaves any files in registry after uninstallation, unlike other antivirus programs. Coming to its Interface, Avast Antivirus has a sleeky look with classic 90's type of juke-box style. Easy to navigate and gives to best options for scanning, finding malicious content in your system. You will know Avast's Performance better when you use it for some time. The more you use it for a period, the more you'ld get familiarized with its features and options. The following chart tells you performance analysis with its competitors. Summary tab contains a second submenu, Statistics. Maintenance tab for virus chest and manual update. Avast's version automatically places programs in a virtualized state when it suspects threats. Antivirus and Anti-Spyware Scanning Engine. CommunityIQ technology ensure worry-free downloading, surfing, social networking, and gaming. Ranks #2 in top antivirus security softwares. 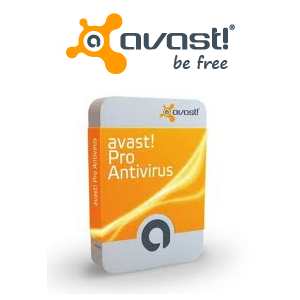 Finally, Avast Antivirus get you in the deck of best protection features for Windows. This PC Antivirus does not show massive impact on system performance. Download Avast Antivirus 6.0 30-day trial version for free at download.cnet.com.